For many reasons, I’ve always held Patrick Henry in high regard. Perhaps it is because of his captivating speech or it is the energy his viewpoints incited in others for the sake of forming a new country. While one-third of the people living in this new land were patriots, they were met by one-third remaining Loyal to the Crown, and one-third just wanting a new start without being politically involved. The early days of our country presented new or enlarged critical challenges each day. Patrick Henry, like many others during that time, was larger than life. After studying him, I’ve developed an even greater admiration. Imagine: you are a staunch supporter of rebelling against a world-class political oppressor and your wife dies, leaving you with six children to raise. Yes, times were very different in most households then. Mr. Henry certainly wasn’t alone. He did have slaves available for taking responsibility of his children, home, and farm, so he could still launch into his political endeavors. Even so, this domestic passage must have overwhelmed him during his time of grief. Recently, while researching wills and testaments related to probate and genealogy, I paused to read his parting message in his last will and testament. What impressed me was how sharply he delineated between his sons and daughters. The law and the culture of the times favored sons; but, not all of them were treated equitably. Daughters were left to marry a man who could keep her or rely on her brother’s generosity. In his will, Henry directed that his wife choose which two of his six sons would inherit his personal and business effects, and share the family land where they lived. If she selected the two oldest, perhap they may not be the two with agricultural and managerial skills. Regardless of which sons she may select, what would the balance of the children do? His wife would need to weight the family’s future success while making her determination. Six of Patrick Henry’s sons happen to live to adulthood. Although Mrs. Henry was her husband’s designee for making this critical decision; she was Patrick’s second wife and, in an ironic twist, deciding the fate of his sons by his first wife. That would certainly make for an interesting family reunion the following year. You’d think he would have spared his wife this unsavory duty by deciding himself; but, he must have had his reasons. Additionally, he also stipulated that if this wife remarried, his property would revert entirely to his children. Once the second Mrs. Henry was widowed, is it any wonder she married the executor of his will? A bit of interesting information is her second husband was also Patrick’s cousin. I guess this is one way to keep them down on the farm. Patrick Henry was born 29 May 1736 at Studley and died at “Red Hill” on 6 June 1799 at age 63. He is buried at “Red Hill” in Charlotte County, VA. He married his first wife, Sarah Shelton in 1754. She was born at “Rural Plains” and died at “Scotchtown” in Hanover County, VA in 1775. She is buried in Hanover County, VA.
Patrick married Dorothea Dandridge on 25 Oct 1777. She was born 25 Sept 1755. Although a few historians place her birth year at 1757 at “Chelsea” it is recorded that she died 14 Feb 1831 at age 73 at “Seven Islands”, Halifax County, VA. Because of inclement weather, at the time of her death, she is interred at “Red Hill” beside Patrick Henry. Dorothea did marry Judge Edmund Winston, Patrick’s first cousin and executor. She was also Martha Dandridge Custis Washington’s first cousin. We live in a day and time when life expectancy is the longest it has ever been in history. During these early days of our country, it was not all that lengthy. A healthy life was a precious commodity, as it is today, but then it was a much more delicate proposition. Patrick Henry and his wives were responsible for giving life to 17 children total. Several did not live to adulthood. A few who became adults, died young leaving their wives and small children to fend in a cruel world; others lived to rather ripe old ages. All this seems like the usual mix of events; but, I can’t help but feel empathy for this family. Not only did six children lose their mother when his first wife, Sarah Shelton Henry, died; at that time, Henry was overwhelmed preparing for the American Revolution. It is always sad when a parent outlives a child. Patrick buried a wife and nine. Losing a spouse can be shocking; but, it is more expected than burying nine children. That nearly goes against natural law. For most people, it is difficult relating to having this many children. During those times having a large family was common. Illness claimed countless children as life was more fragile and less protected by medicine. Even acknowledging that, it is noteworthy that Patrick was still expanding his family during his 50s and 60s. Researching The Henry Family has illuminated more about this man than I ever anticipated before starting. To say that Andrew Jackson was a rebel is to totally under sell him. He was a man who was, like many other national leaders, larger than life. He had many desirable attributes, but the negative ones were monumental. One fiercely poor decision was the near total annihilation of the Indian nation. Not a proud time or action on the country’s part. However, on the other side of the spectrum, Jackson is the only president to have the national debt paid-in-full. No small feat, my friends, but I shudder to think of at what cost. Reading a will is a fairly foolproof method of having an intimate look at someone’s soul. It peels back the veneer and allows witnessing of a person’s true values and an assessment of what they feel is of worth. Andrew Jackson’s will offers you no less than that. This link should lead you to his last will and testament. Please contact me if there is a dead link, pun intended. Much like the beloved President James Madison, Jackson’s financial affairs were in a total shambles due to the fiscal frolicking of his adopted son. Both presidents married women who took them as their second spouse and entered the marriage with a son. Dolley’s husband had the good graces to die due to natural causes prior to her meeting James. The same can’t be said about Mrs. Jackson’s first. It seems that a good year after her wedding with Andrew Jackson, Rachel’s first husband, Charles Dickenson, surfaced with the incomplete divorce papers Mrs. Jackson had served on him. Being called a bigamist was a cross she bore for the rest of her marriage. Perhaps it is why she was so dedicated to her church as it acted as a remedy and gave her solace. At an event at Nashville area race track, Jackson met this contentious neighbor, and source of besmirching her honor, Charles Dickenson, and they once again faced off. Dickenson called the future president “a scoundrel, coward, and an equivocator” and Rachel a bigamist. Back then, as they say “them’s fightin’ words”. And those statements were insult enough, but the real injury took place when Dickenson ensured that the comments were published in the National Review. Not being able to withstand this level of attack, Jackson challenged Dickinson to a duel. Dickenson fired and hit Jackson in the chest. Jackson fired and missed Dickenson. Then, setting aside protocol of the match, Jackson decided to exceed his permitted allotment of a single shot and fired again, killing Dickinson. Oddly enough, that didn’t have an impact on his presidential race later in his life. It would be interesting to see how that would fly in today’s political arena. As mentioned before, Jackson’s finances were in sad straights because he had indulged his adopted son’s habits of acquiring land he couldn’t afford. Although he didn’t mortgage The Hermitage, his beloved plantation home. Jackson had borrowed huge sums of money from well-heeled friends in Washington, DC and New Orleans, LA. These amounts are among the first mentioned in the will. Jackson wanted them paid before any other disbursement of his worth. As I researched his life, his will became even more interesting to me. Rachel and Andrew Jackson never had any children of their own. Rachel’s brother, Sovern Donaldson and his wife Elizabeth, offered their three children to the Jackson’s to raise. The only reason given for this action was one reference mentioning ill health on the part of Elizabeth, but nothing else was documented. Twin brothers, and another sibling, came to live at The Hermitage. I am surmising that the younger sibling and one of the twins died during childhood as no mention is made of them in Jackson’s will. Jackson took an interest in one of the boy twins named Andrew Jackson Donaldson, going as far as adopting him. 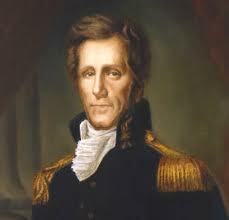 He was renamed Andrew Jackson, Junior, and was treated as if he was Jackson’s biological son. There were many other children living at The Hermitage because Jackson was a favorite to be declared guardian of children of family and friends by the Nashville court system. Through the years these children all benefited from many privileges; but, it was his “adopted” son Andrew who received the bulk of his attention and finances. The “mixed” portion was the most egregious part of his will by today’s terms. Jackson detailed that “all the appurtenances thereto belonging or in any wise appertaining, with all my negroes that I may die possessed of”. Jackson specifically willed selected slaves to certain family members. Additionally, he extended it to include “and all their issue forever” to his heirs. An incredible note realizing that, as president, he upheld the Constitution and its certain inalienable rights. Something tells me the slaves willed to his descendents may have had life; but, their liberty and pursuit of happiness was greatly hampered. For all his incredible damage against the Indian nations, a strange action on Jackson’s part was sending home an orphaned Indian infant boy who he found next to the baby’s dead mother on the battlefield. He raised him with the other children at The Hermitage which seems to go against all his other beliefs regarding those nations. Lyncoya lived to be about 17 years old. Jackson was determined to send him to West Point, but the application was declined. So, he sent him to school to become a saddle maker, certainly not a close second to the West Point degree and education. Generally, my view of Andrew Jackson is that of a very proud, independent leader who was also a very loose canon who viewed himself as being above the law and supporting it at the same time. He was kind and generous to a fault on one level and absolutely criminal and lethal on the other. A real study in human contrasts. If you are ever in the Nashville area, stop at The Hermitage. You’ll be impressed that his “mixed” legacy is still living on.